Read the first chapter of Shaken: Young Reader’s Edition. Tim Tebow makes a new fan! See his interview with Kathie Lee on Today. 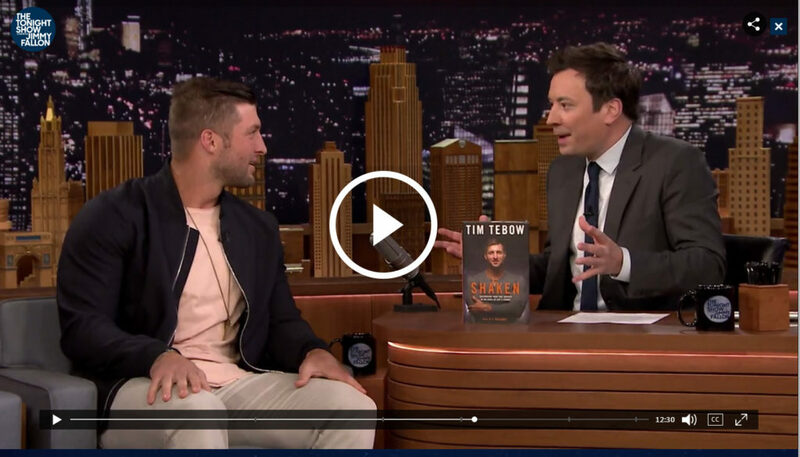 Tim Tebow caught up with Jimmy Fallon on “The Tonight Show” last night about his Christian Book of the Year, Shaken, and his newest release Know Who You Are. Live Like It Matters. “I gotta say, I read the book; I loved the book,” said Jimmy. Read the first chapter of Know Who You Are. Live Like It Matters. 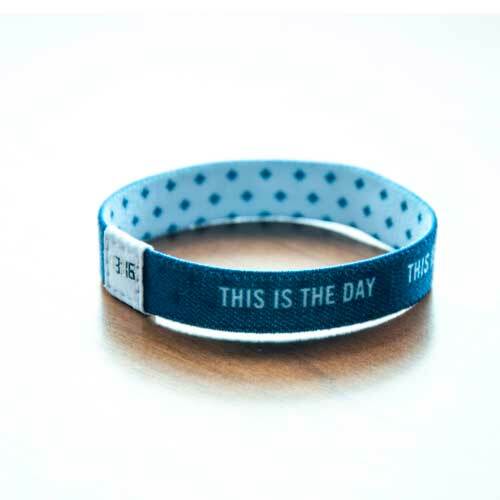 Nobody said your life would be easy! And the older you get, the more difficult it seems to become. 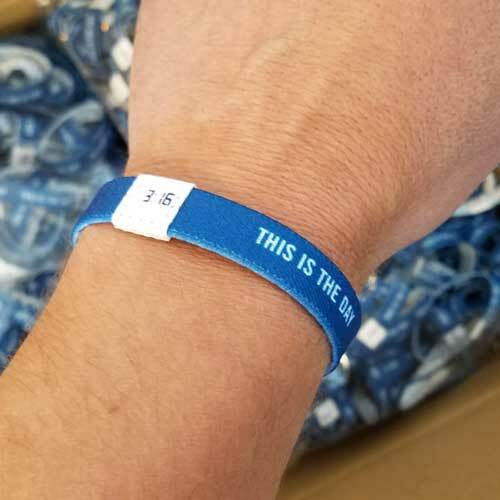 Deep down you may know your value as a person isn’t defined by wearing cool brand clothes, scoring points for a sports team, or even by having a huge number of social media followers. And you’re right! Your identity resides in something—in fact, someone—much greater than anything this world can offer: The only identity worth having…is found in Jesus Christ! 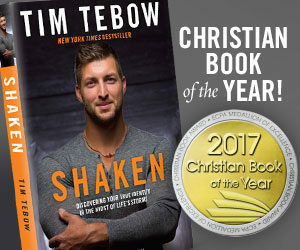 Sign up for Tim Tebow related news and releases from Penguin Random House.